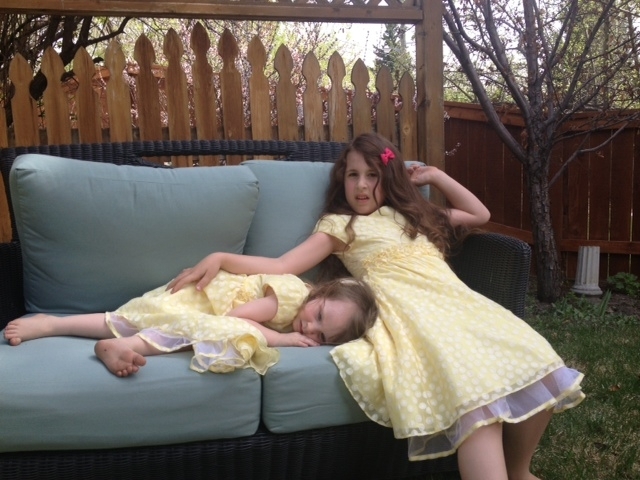 Mother’s Day 2013 and I realized I could repent for past sins – after a few years of living away from my almost three-year-old granddaughter our big family feels so, so fortunate to have her and her baby sister (and their mom and dad) move ‘home’. 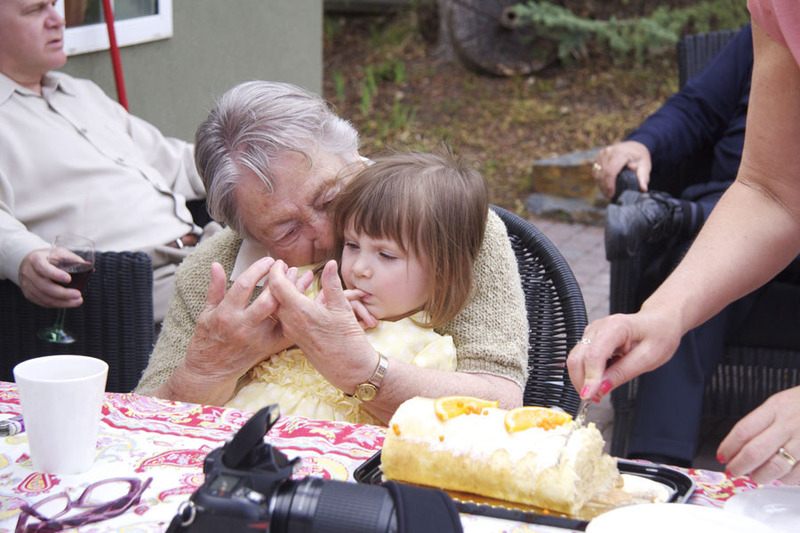 And with one set of grandparents and one of great-grandparents back from winter escapes, suddenly we find ourselves all living in one city with three four-generation family groups. Now that begs for four generation photos. True we could have set up a few calm afternoons with the parties involved at separate locations according to which side of the family we were calling into dress-up (but not to up) and smile action. But a windy warm Mother’s Day afternoon was picked for a massive ‘let’s get this done’ opportunity. My youngest daughter stepped up to the plate as patient photographer extraordinaire, and I took up the job of production coordinator – a few days before the Mother’s Day event I realized I was so mentally excited that I’d only imagined my official invite to several key players. Could have been due to my distraction over shopping for teeny white shoes for new baby or finding the right shade of yellow hair bows to twist onto the three-year -olds pony tails, while directing the other guests to organize their groups into comfortable clothes that go together and trying to settle on a menu for a brunch that would go cold on the stove while we bossed people around. Mother’s Day arrived – perfect overcast clouds for great photographic light –the lot of us looked exuberant – every generation, while we waited an hour for babies that needed to nurse and kids that needed to be polished up, and chairs to be transferred from suddenly too sunny spots and a very special 60th anniversary photo of my parents. And then from the minute we shouted out the first, “Cheese” until two hours later we posed and jiggled a baby, blew bubbles at the too energetic toddler, sucked in and grinned while she zipped into the shot on a ride ’em caterpillar, called senior folks from this end of the yard to that, helped the six-year-old hold the baby who was losing it, smiled and smiled, and suddenly the window closed, the baby cried, the three-year-old collapsed and myself, the production coordinated – tried to push on, ever conscious of the photos we didn’t get at the wedding – the ones I was trying to make up for, until finally I called out, “Enough. Stop me. I’ve gone insane.” And it was over. 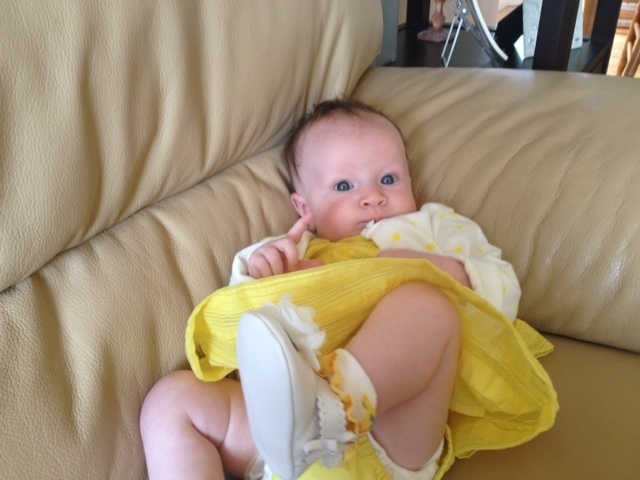 I could collapse with the little ones – or maybe even relax and feed the guests, while waiting to view the wonderful joyful shots of what we’d just pulled off. These are heart warming, your family is truly blessed. 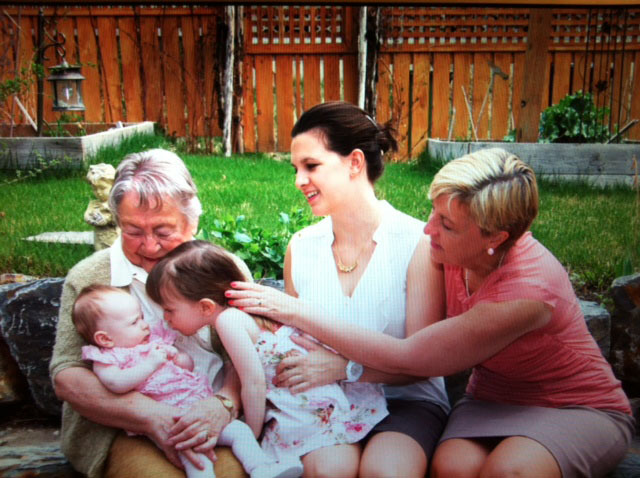 So few families see four generations together, thanks for sharing this with us! This was the photo I was hoping for – it really was a natural shot – you couldn’t get an almost three year old and baby to pose this way . And yes, doesn’t my mom look happy? Thanks for your comments.